What is gastroparesis and how can it be treated? Last spring, a young woman sat in my office after finding out the name for the gastric distress she had been experiencing for three and a half years: Gastroparesis. And got some hope. "I have suffered from bloating, sharp pains and cramps and nausea until finally being diagnosed," she said. Another patient, a young male athlete also suffering from gastroparesis, had gastric complaints, too. "For me, its constant pain, nausea, vomiting and abdominal bloating. I have no appetite and have lost 20 pounds. I just want to get back to what I love —playing baseball and soccer," he said. 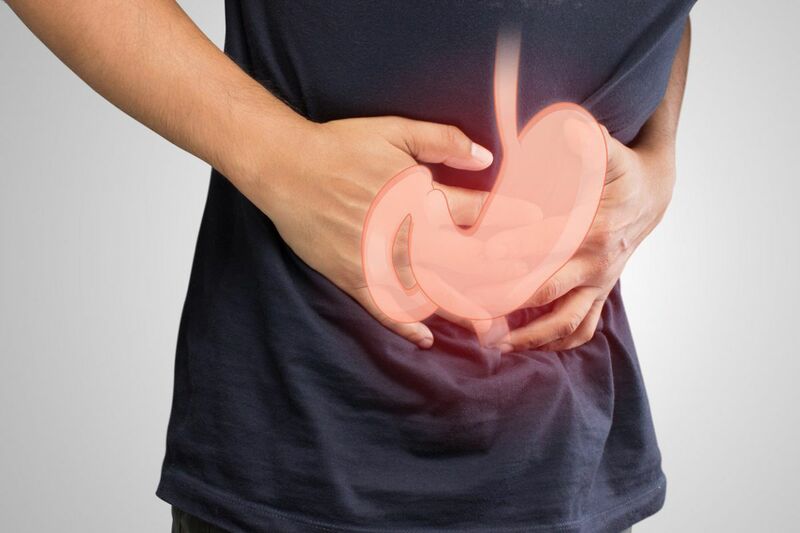 Gastroparesis is a condition that affects the normal movement of the stomach muscles and results in food remaining in the stomach for abnormally long time periods. According to the Mayo Clinic, approximately 100,000 Americans suffer from this condition. And the incidence of hospitalizations associated with this diagnosis has increased since 2000. Many cases — nearly 36 percent according to a 2013 study in The American Journal of Gastroenterology – are idiopathic, which means they have an unknown cause. This makes it frustrating for both the patient and doctor. We all want answers. We do know that gastroparesis doesn't discriminate — it affects all ages and genders, although it is more prevalent in women. Some other risk factors for developing this condition are diabetes, abdominal surgery, viral infections, eating disorders, autoimmune conditions and certain medications. Treatment is a challenge that requires a multidisciplinary team, including a gastroenterologist, dietitian, as well as clinical and support staff. "The pharmaceutical management of gastroparesis is suboptimal," said Stephanie Moleski, a gastroenterologist at Thomas Jefferson University Hospital. "There are few medications and the ones that we have are limited in their use by significant side effects. The first line of therapy I recommend to patients is to limit fat, fiber and do small frequent meals." As a gastrointestinal dietitian, it is my goal to provide practical strategies for patients to consume the optimal gastroparesis diet. So what is the optimal gastroparesis diet? The white, boring, low-fiber diet. Patients should eat white bread, white pasta, potatoes, white rice, and no fresh fruits and vegetables! Strange to hear this from a dietitian, isn't it? You may ask how a diet like this can be healthy, but keep in mind that what is healthy for one condition may not be nutritionally adequate for another condition. For gastroparesis patients, eating a salad may make them feel like they are eating cement, which means that food is providing little nutrition for them. Juice 'em or Soup 'em . So if you can't eat fruits and veggies, what is the easiest way to get their necessary nutrients? Juice 'em, soup 'em or make a smoothie by blending them with protein powder and a milk alternative like pea protein, almond or lactose-free milk. There are many supplement drinks (low fat, lactose free, high protein, vitamins and minerals) that meet the needs of someone with gastroparesis. Since liquids leave the stomach quicker than solid foods, consuming a liquid meal sometimes is the best option. Small, low-fat meals. I recommend focusing on reducing the size of your meals and fat intake to control symptoms. High-fat fast foods really aren't the best option for anyone. They stay in your stomach for longer periods of time, and for gastroparesis patients, that means the potential for symptom flare-ups. Instead, try small portions of fats, like a teaspoon of peanut butter or oil or opt for reduced-fat options, like low-fat cheese or light mayonnaise. Hydrate. Hydration can also be problematic when a patient is nauseous or vomiting. Focus on electrolyte drinks with sodium and potassium or coconut water. Multivitamin. Supplement your diet with a chewable vitamin (preferably with no iron, especially if there is constipation). Keep a food journal. Always monitor your symptoms. Keep a food log (apps are great for tracking) so on bad days, you can reduce which foods upset you. Remember those patients suffering with gastroparesis? The young female, after following the gastroparesis diet for six months, says she feels like a new person. She is now able to eat fresh fruits and vegetables and enjoy salads. She can now go out to dinner and enjoy a meal without feeling bloated or nauseous. The young male athlete can play soccer and baseball. He was provided with special predigested supplement drinks and hydrating beverages. He said he has energy again, and gained back the 20 pounds he lost! Emily Rubin is a registered dietitian at Thomas Jefferson University's Division of Gastroenterology and Hepatology. She is also the main dietitian at Jefferson's Celiac Center, Fatty Liver Center, and Weight Management Center. Emily Rubin shares her cherry banana “super food” smoothie with coworkers.